I think if I were to pick a few favourites among them would definitely be the first big fight Naruto and Sasuke get into before he leaves and we reach the time skip before Shippuden. It’s an impressive battle and still stands as my favourite of the series, even compared to the more recent battle the two have. One of my favourite scenes of it though is when the two go head to head for the final attack. It’s so intense and so moving if you care for the characters even remotely. 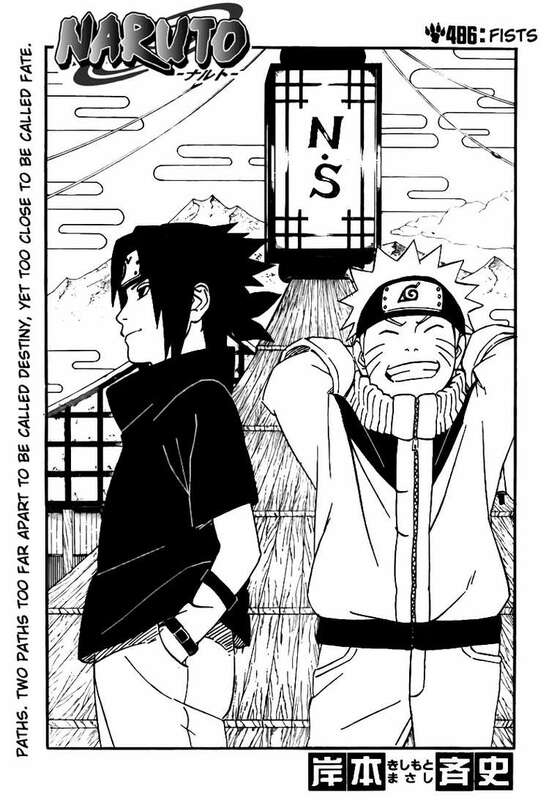 The fight was also a big turning point for the Naruto series as a whole. Next up is this scene from Fuuka. 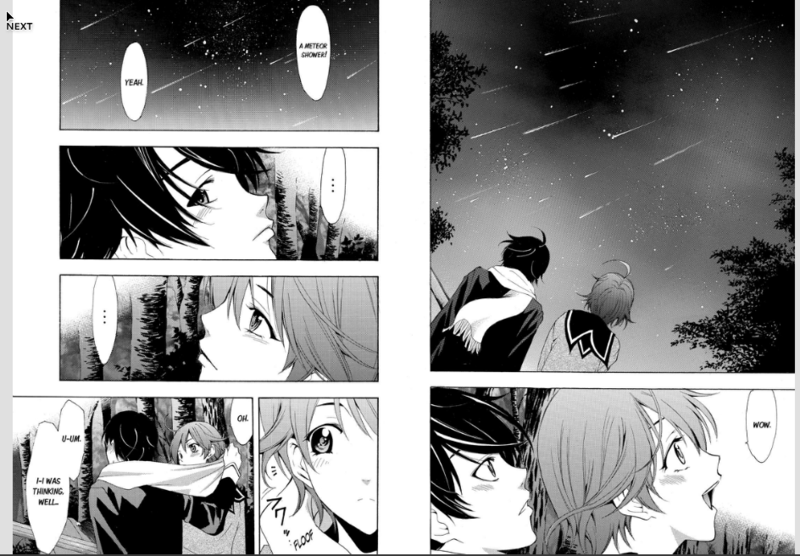 It’s a fairly recent scene from the series and I like it because it was driving home the relationship between Yuu and Fuuka and how far they’d come since they first sat and watched the stars together. It’s not the most amazing in terms of art but it’s emotionally packed. 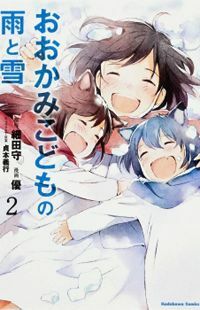 My third favourite would be the scene of Yuki, Ami and Hana running down the snow covered hill acting wild and free, and as wolves in the case of Yuki and Ami’s case. It’s an important and brilliant scene that I fell in love with when watching the movie but I was presently surprised to find that the manga managed to present the scene just as well as the anime does. It’ll forever stand as one of my favourites.